This is the third time I am writing about a trip to Las Vegas in the past two years, and my 7th visit overall. Oddly enough, all six of my previous trips took place in either August or September. It may be a coincidence, but people do generally travel more frequently in summertime, and, strangely enough, I have never visited Vegas alone. Despite the fact that I am not opposed to solo travel, it would never occur to me to visit Vegas alone. When I think of places I travel to alone, I tend to think of long contemplative hikes or bike rides, definitely not Las Vegas. What is odd is that, while Vegas feels more like a group activity than any other destination, I can think of few other places where it is easier for someone to entertain themselves. The shows, the games, and general sensory overload all around make it nearly impossible to imagine boredom. One thing every traveler knows is that it is possible to return to a place one has already visited and still get a completely different experience. This is especially true if it is a different season or under different circumstances. Vegas, in early February, during the middle of the week, is just not as crowded as it is on a weekend in the summer. This translates into both conveniences and inconveniences. Yes, it was a lot easier to walk around the strip. There were considerably less crowds to navigate. There were even considerably less people out there promoting things like limousines to strip clubs and shows. However, the downside was that I learned that there is indeed a time when I can walk into a casino in Las Vegas and not see a single open BlackJack table. That time is 8:45 A.M. on a Tuesday morning in the month of February. It was also necessary to walk to another resort to find an open pool. In some ways, it was the same Vegas experience I had always remembered; Gambling. Buffets. Staying up really late. And the random entertainment that appears out of nowhere. In other ways it was different. I learned that the Flamingo Hotel, which is the original Las Vegas hotel, actually has live flamingos there! Walking through this exhibit was an interesting experience. It was the first time I had ever seen a significant number of children anywhere in the City of Las Vegas! Families and drunk people in the same place just always feels odd to me. It is also interesting to observe how quickly any particular place can change. My last visit to Las Vegas was a mere six months ago! Yet, I noticed for the first time a pedestrian mall, with shops and restaurants, like In-N-Out Burger, between the Linq and Harrahs in the middle of the strip. Freemont Street, the original Vegas dating back to the middle part of the 20th Century, seems to be undergoing some sort of major revival, with concerts, street performers, and a good number of people walking around on a Tuesday night! Even the table games seemed to have increased in stakes! With the world, and particularly cities in a constant state of flux, as long as we do not have a mechanism to travel through time, one can never travel to the EXACT same place already visited. Something will always be different. Given the kinds of experiences I typically write about on this blog, and the types of topics I regularly discuss, it may come as surprising to some that I love Las Vegas. I always talk about getting outdoors, staying healthy, and avoiding the dangers of materialism. Las Vegas, at its core, is the antithesis of all this. I just love to observe how Las Vegas has this power to transform people. Some would say for the better, others would say for the worse, and both would have a valid point. Feeling like a different person, as I do every time I come to Vegas, can be thought of as a form of escapism. However, I feel that it is not about escapism at all. At some point in time, we have all heard someone say “I need to go find myself”, as if the “self” is something that somehow gets lost and needs to be located just like a set of keys or a glove. While I may be getting hung up on semantics here, I honestly believe that nobody ever fully loses themselves. They may be afraid to be their true selves, or be in a setting that brings out only one component of their more complicated selves. This is when it is good to find a different environment for a while, which Las Vegas most certainly is for nearly all people. Las Vegas has a strange way of demonstrating that all accepted societal norms are malleable and negotiable, but end up as what they are for a reason. Las Vegas does not accept norms such as not drinking on a weekday and going to bed by a certain time. However, there are other norms that develop in Vegas based on that setting. It is expected that nobody splits 10s at a blackjack table, and, at said tables I’d be shocked to see male dancers. Nearly all people have at least one behavior or interest that surprises people because, on the surface, it does not jive with their other interests. However, there is always a common thread, which often can be found by digging deeper. Whether we are getting to know ourselves, or trying to understand someone else, determining the common thread between these seemingly unrelated interests can help us all reach a deeper understanding. This entry was posted in casinos, cities, Nevada, North America, resorts, seasons and tagged Las Vegas, Las Vegas Strip, travel, winter travel on February 9, 2018 by Stephen Jaye. 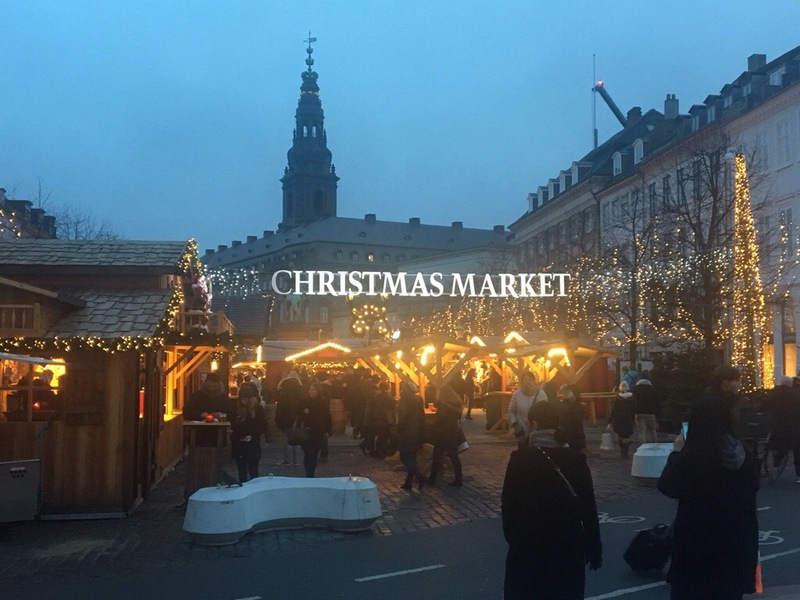 There is, perhaps, no better way to get into the spirit of Christmas than to find oneself surrounded by the ambience of the holiday, taking part in local traditions. Christmas may mean something different to different groups of people. Some focus more on the religious aspects of the holiday. Others on the secular. Still others celebrate different holidays altogether. 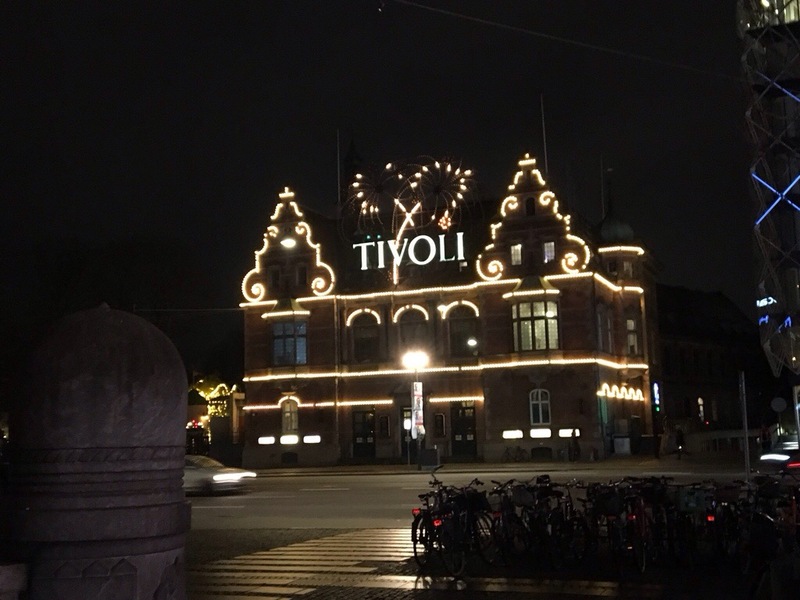 In central Copenhagen, where the spirit of the holiday can be seen all around, with decorations on buildings and streets. 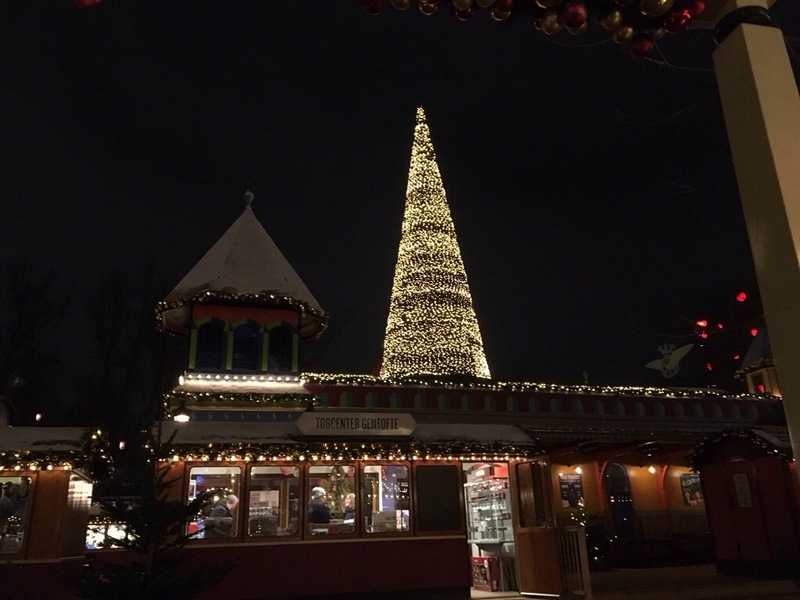 And numerous Christmas markets all over town offering holiday treats. The spirit becomes contagious. It is felt in the air. It is hard not to want to join in the traditions of the region. 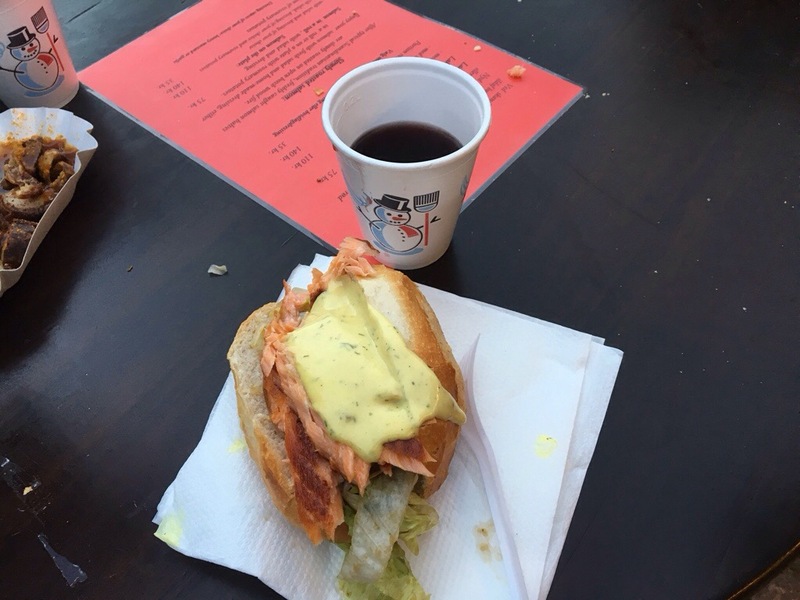 Eating nordic food, both new and old. And, of course, drinking gløgg, a warm spiced Scandinavian wine commonly drank on cold, cloudy winters days; particularly at Christmastime. It would be almost impossible to imagine myself here at this time of year without drinking it. 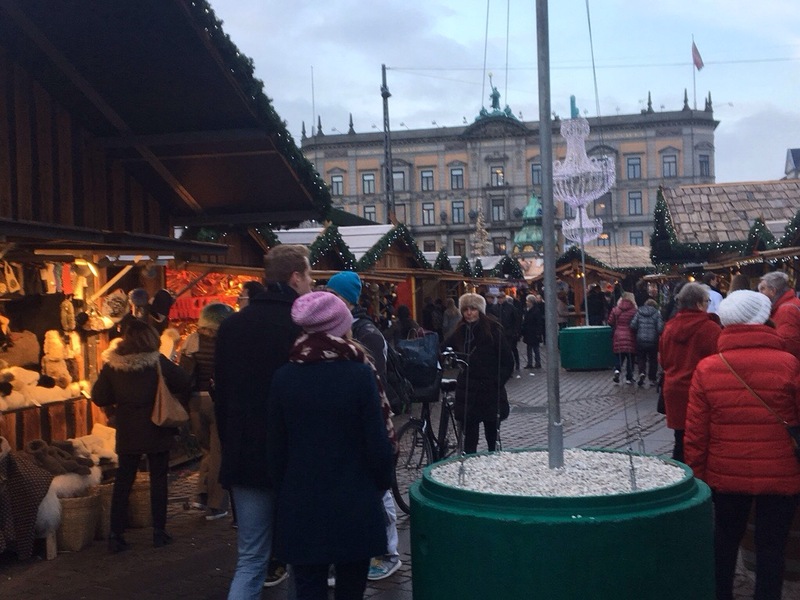 Denmark is known to be a happy place despite the weather, which is commonly cloudy and rainy, particularly in wintertime. 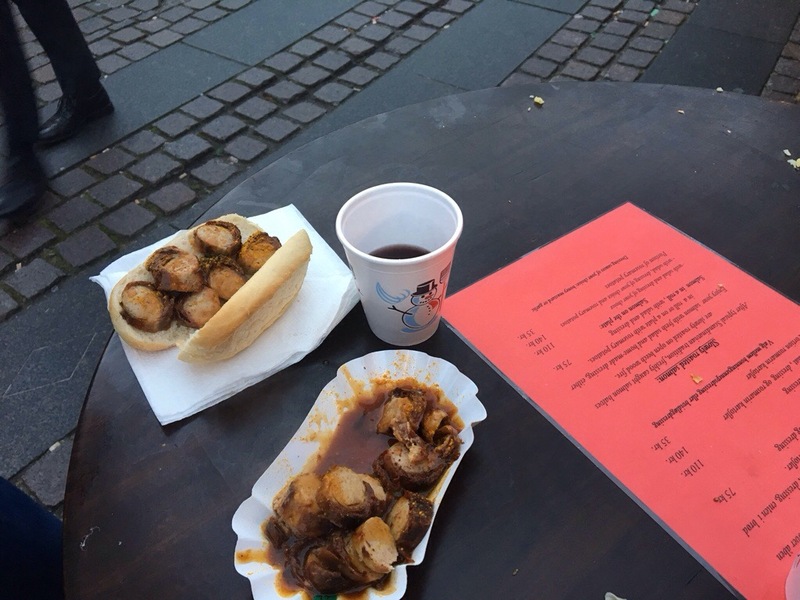 In fact, it may even be because of the weather, as Danish culture has found some unique ways in which to cope. Hygge (pronounced hoo-ga), is a word we do not have a direct english translation for. It is happiness, in a friendly, slower paced, and cozy sort of way. Upon any reading or discussion of the subject, it becomes quite apparent how the weather has influenced the culture. Winter here means a lot of time spent indoors, in the dark. Spending it among good friends, eating good food, and removing oneself from the pressure of day-to-day life provides some form of rejuvenation. 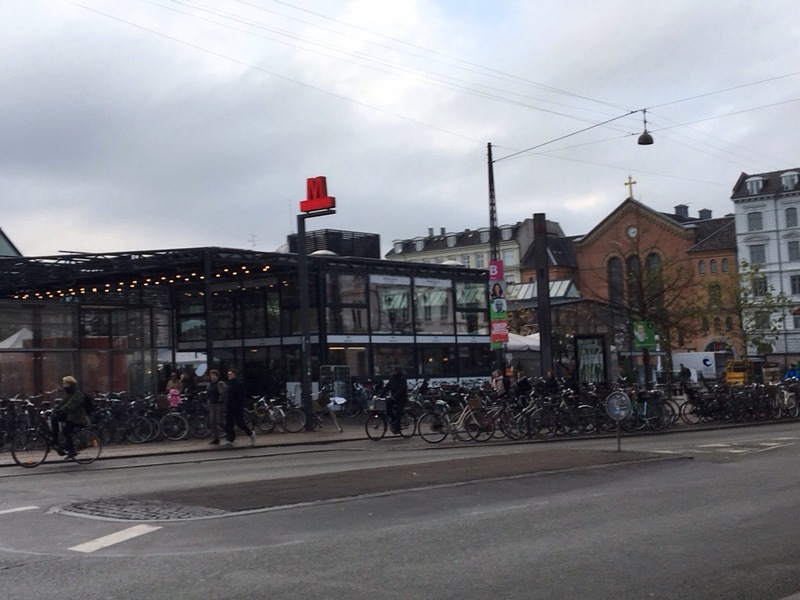 While Copenhageners spend a lot of time indoors at this time of year, it is apparent that they do not let the weather stop them from cycling. Despite the cloudy, and even rainy weather, and daylight that only lasts from roughly 8:30 A.M. to 3:30 P.M., there are still plenty of people on their bicycles, using them to transport themselves, and sometimes even other people and their cargo, around town. 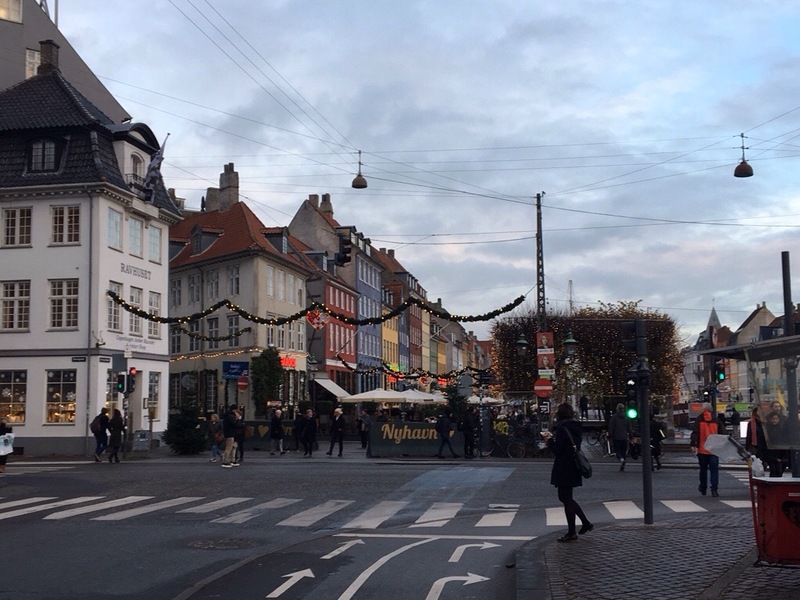 As a cycling enthusiast, this is actually one of the factors that drove me to want to visit Copenhagen. It is by some measures the most bike friendly city in the world, and boasts one of the highest percentages of bicycle commuters. 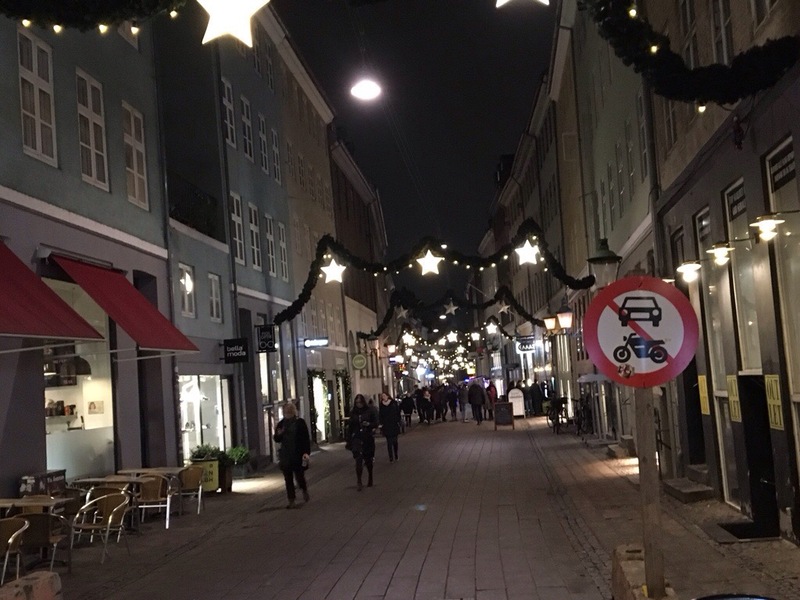 Perhaps because of the fact that nearly every street I encountered here in Copenhagen had some form of bicycle accommodation, it is a way of life here that cannot be stopped by the combination of darkness, rain, and temperatures in the lower 40s (around 5C). Besides what appeared to be the expectation of year-round commuting, I noticed several other manners in which the cycling culture here differed from what I see in the United States. First, the bikes are different. I saw mostly cruisers not necessarily designed to go high speeds. Second, cyclists here most certainly follow the rules. Nobody ran red lights. And, finally, I also noticed that it is common practice here to leave bikes unlocked. I guess there is less worry about theft, but the idea of not locking a bike feels foreign to me. 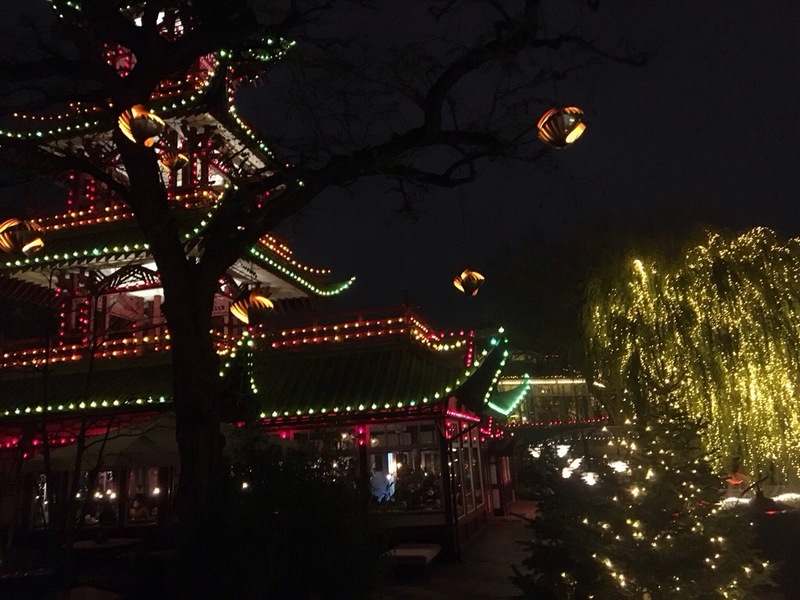 There is perhaps no place more iconic here in Christmastime than Tivoli gardens, one of the world’s oldest amusement parks. 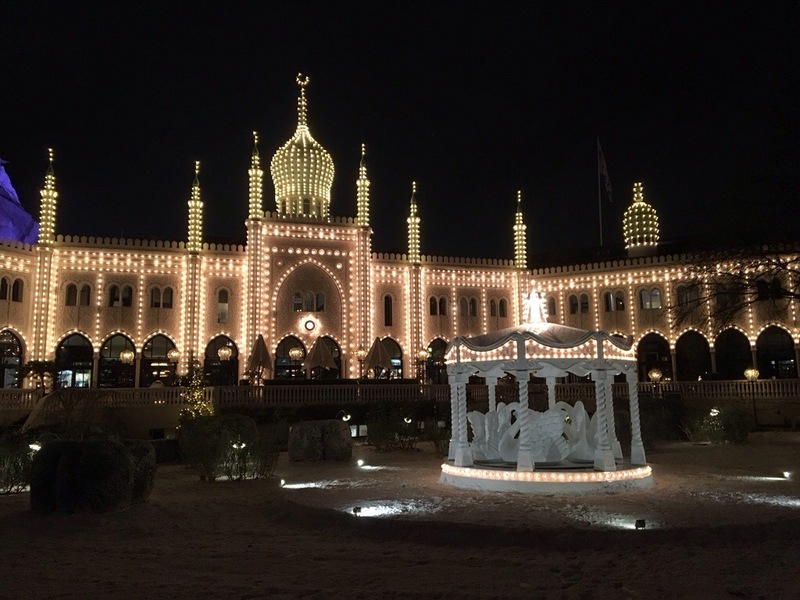 The lights here, at night, are a must see for anyone who comes to Copenhagen at Christmastime, even for those who do not care for roller coasters. Recent reports have linked the lack of social support to unhappiness, poor health, and other bad life outcomes. 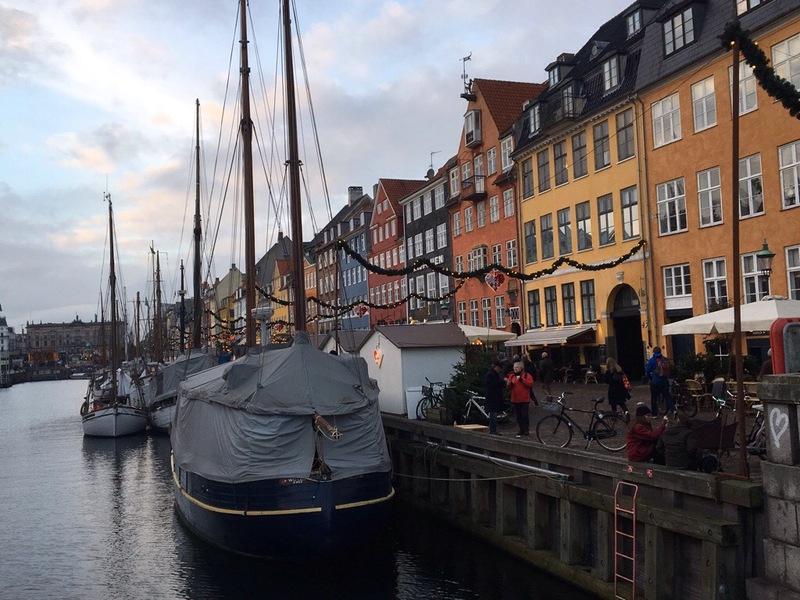 The Danish people appear to take pride in their status as one of the happiest countries in the world, and, at least in part, attribute it to this concept of hygge. 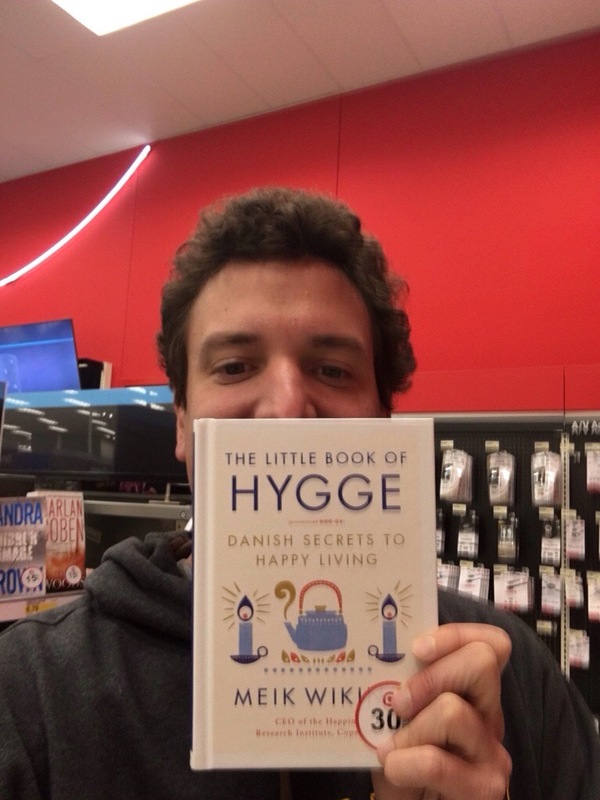 According to the Little Book of Hygge, written by Meik Wilkins, the CEO of the Happiness Research Institute (which happens to be located in Copenhagen), hygge, while practiced all year long, is strongly linked with the Christmas season. 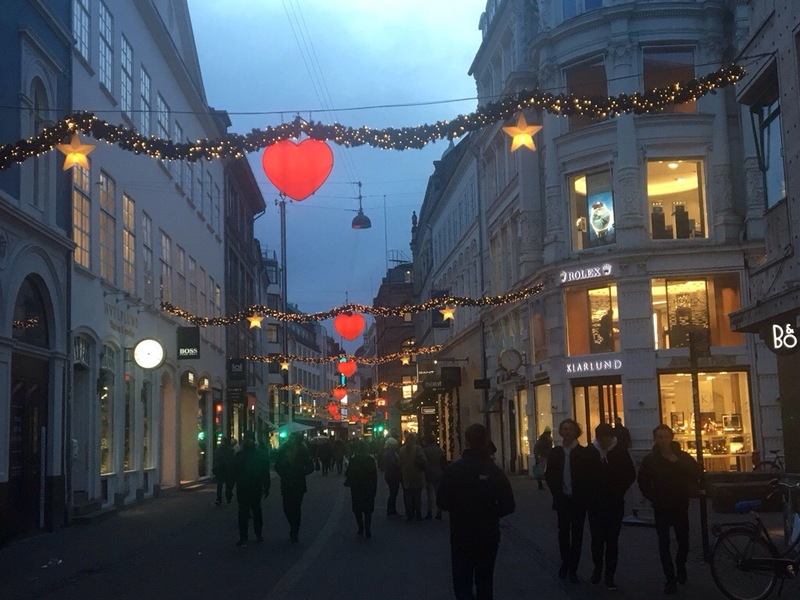 The idea of taking a break from the stress of everyday life and spending time with loved ones is the core element of Christmas no matter where it is celebrated. Often times the season for this is cut short. For many, some combination of pressure to complete end of the year tasks at work and holiday shopping keeps stress levels high for much of December. 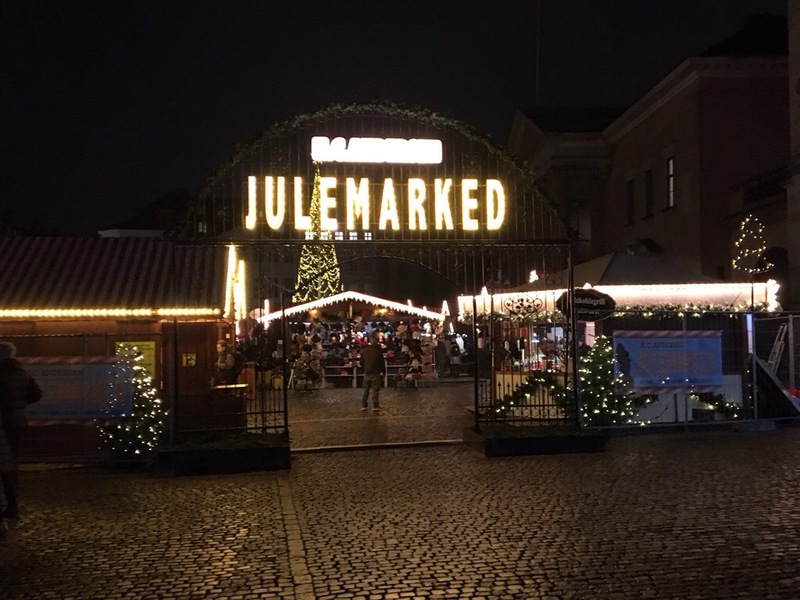 Experiencing Copenhagen in late November, with the spirit of Christmas already in full swing, I am inspired to make this entire season, not just a couple of days at the end of December, about giving, sharing time with those closest to me, and de-stressing. 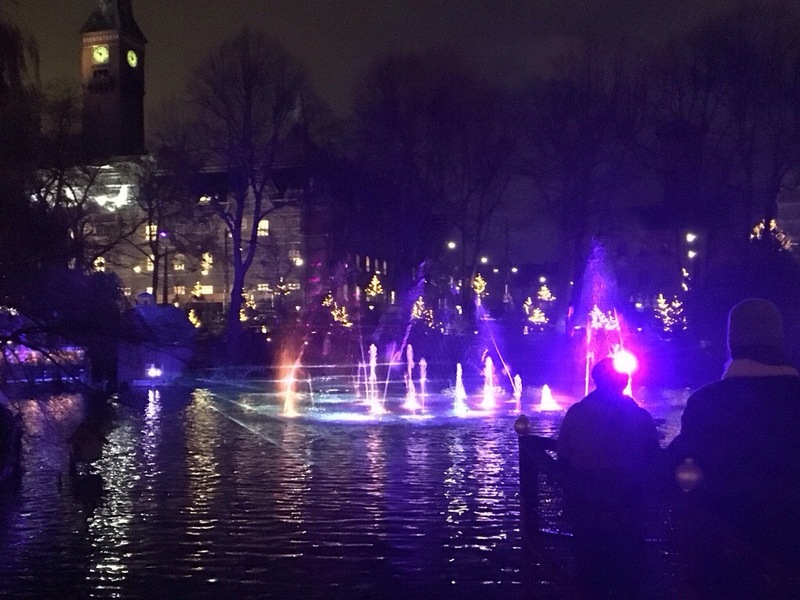 This entry was posted in cities, Denmark, holidays, local culture, seasons, self improvement and tagged Christmas, Copenhagen, Denmark, happiness, Tivoli Gardens, travel on November 22, 2017 by Stephen Jaye.